Children in the Wilderness (CITW) is an environmental and life skills educational program that focuses on the next generation of rural decision makers. It is one of the few program aimed at bridging the divide that exists between communities and wildlife. The program hosts rural children that live alongside our Parks and Reserves and teaches them the importance of conservation. The Children in the Wilderness program aims to develop environmental leaders who are inspired to care for their natural heritage so that they become the custodians of these areas in the future. Children in the Wilderness exposes children to their wildlife heritage, builds and strengthens their capabilities to cope with life’s challenges and educates them with the life skills necessary to actualize their greatest potential. We are currently introducing eco-clubs in the CITW schools with whom we are already working. These clubs will allow more children access to environmental learning and will serve to empower, educate and uplift them. 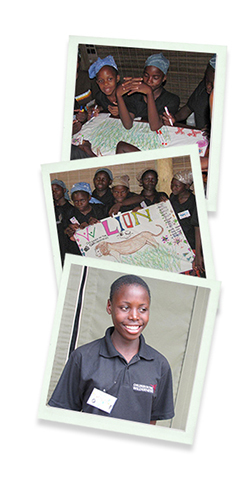 We currently run four camps in Botswana, hosting a total of 96 children per year.